I never feel quite satisfied with the selection of Indian restaurants around town. Maybe I just haven’t tried hard enough but I just can’t seem to find a good (and affordable) one that I LOVE. But I keep hearing about the Bollywood Theater. So when my two best friends and I decided to have a “ladies dinner”, we gave it a shot. We were not disappointed. The Bollywood Theater describes itself as “Indian Street Food”, so the menu is a a little different than your traditional Indian restaurant. 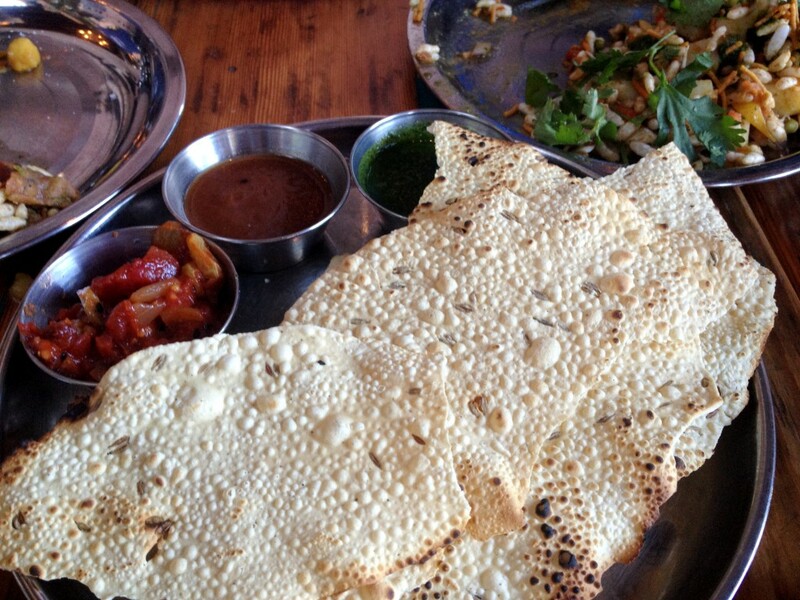 There’s no palak paneer (my husband’s favorite) on the menu, but there are lots of other familiar flavors and dishes. 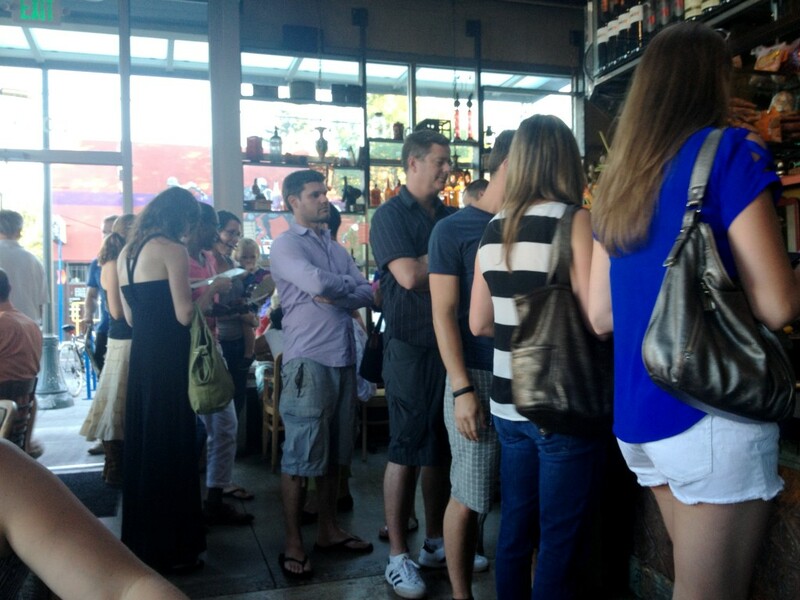 The first thing you might notice when walking in is a line. They have an “order first, table later” policy, so don’t even think about snagging that awesome table by the door just yet. The people in front of you have dibs. The long line did give us a change to get our plan in order because everything on the menu sounded awesome. We ended up over-doing it a bit and ordered WAY too much food. Each of us started with a iced chai tea. They have a full bar, but none of us hit that this evening. The chai was excellent, the spiciest I’ve ever had. Almost too spicy. Then the appetizers started coming. 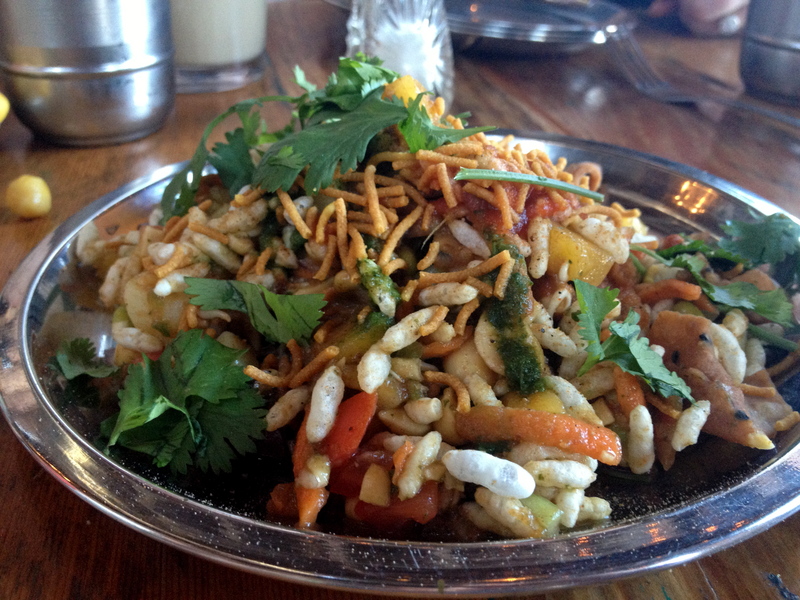 First came the Bhel Puri, which is a salad of potatoes, vegetables and puffed rice. It was good, but far from my favorite thing we ordered. 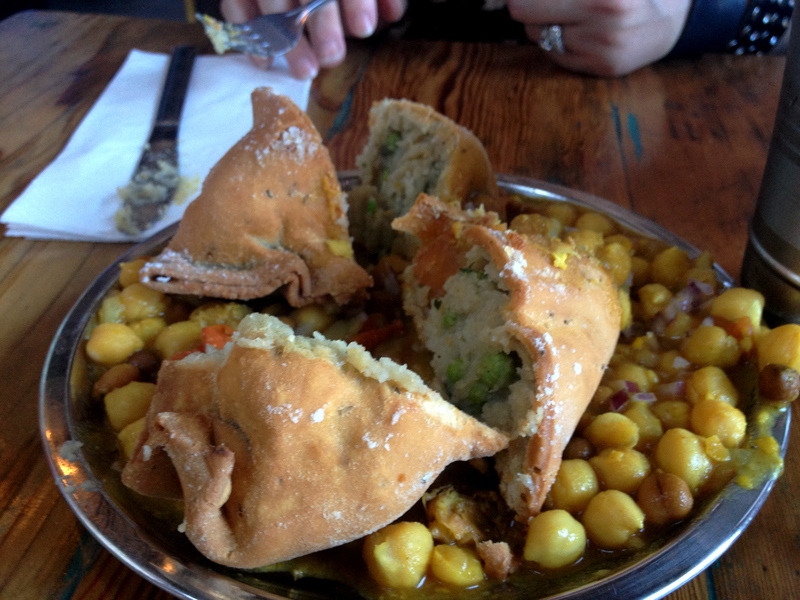 Next, samosas. They come two to an order with chickpeas and a dipping sauce. I would highly recommend trying them. 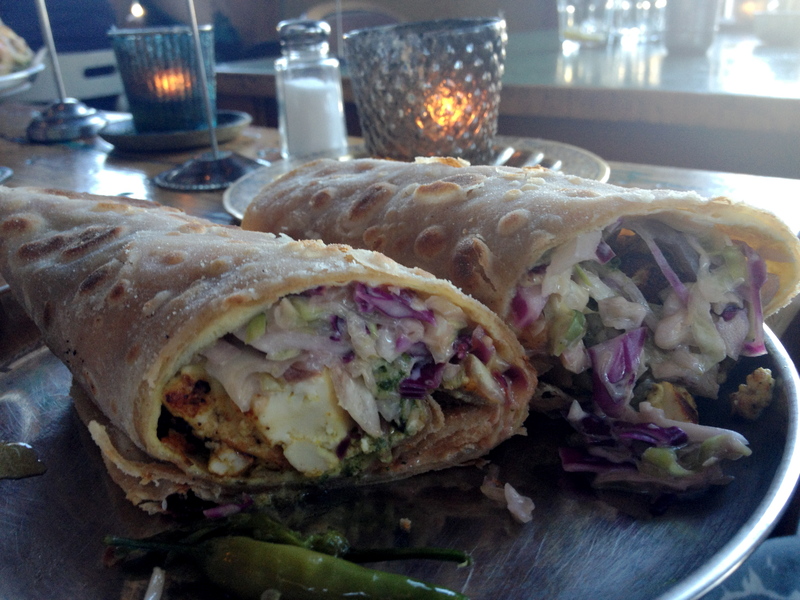 Finally the Kati Roll, which I describe as an Indian burrito. We got TWO orders because we THOUGHT they were small, but they were actually huge! They were really good and we all were able to take one home! 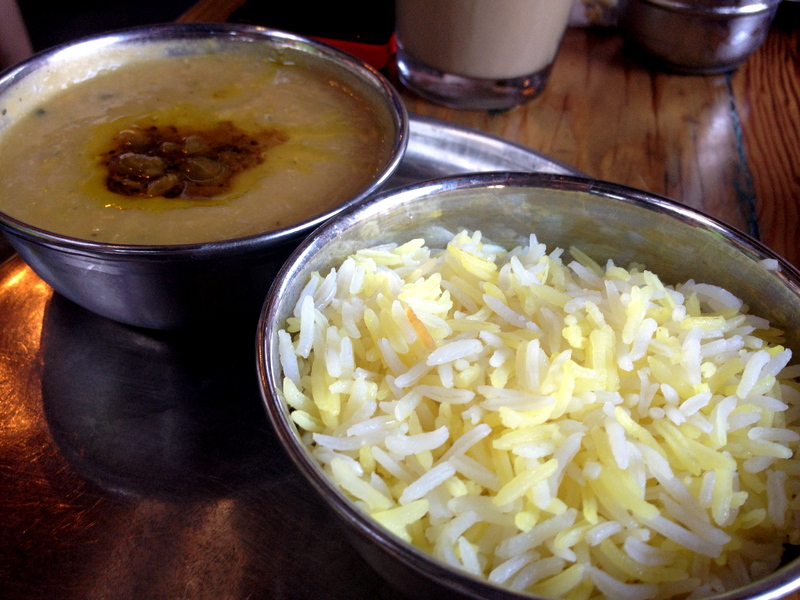 After that, the dal, rice, and chutneys arrived. They were all very tasty, although a little excessive considering what was still to come: Chicken Curry, Pork Vindaloo and Egg Masala. The curry was delicious, creamy and a little sweet. 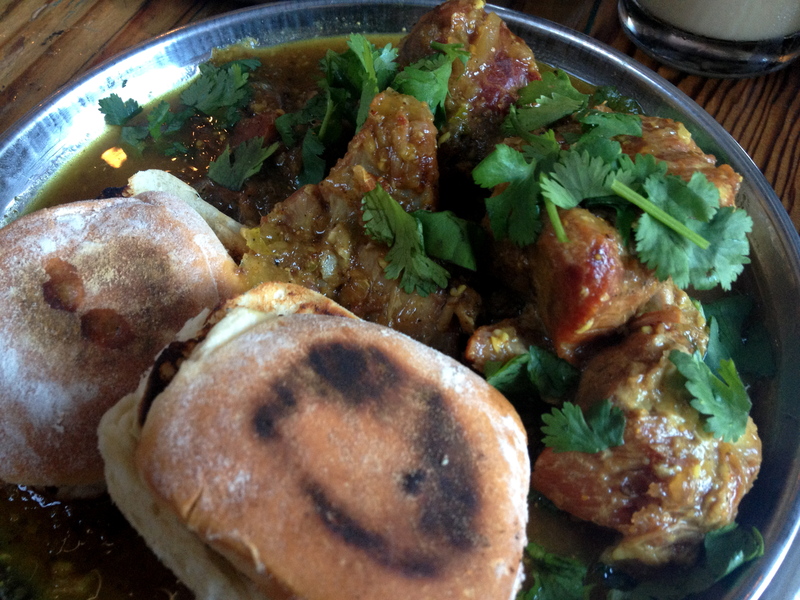 Pork Vindaloo was so tender the big chunks of meat fell apart when you touched it. 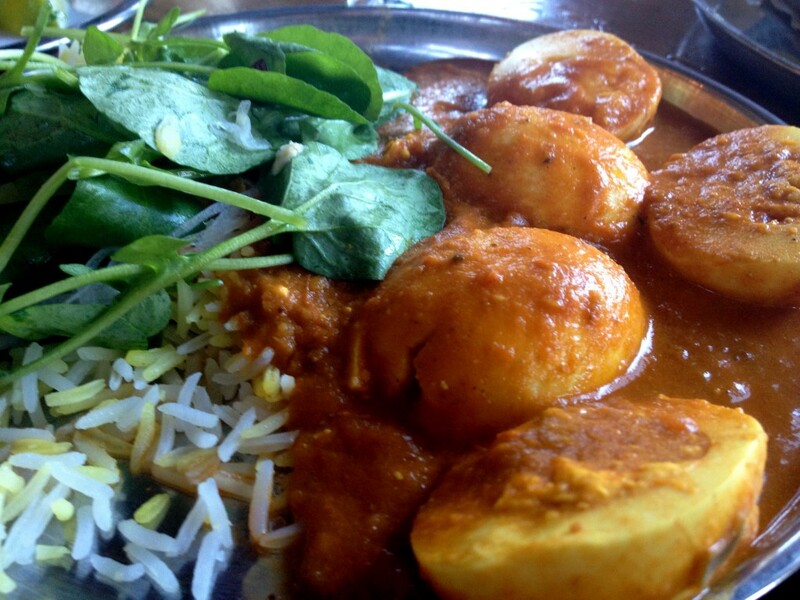 The Egg Masala is simply hard biled eggs in a spicy tomato sauce. I prefered our other meat dishes, but I don’t think anyone would be disappointed if they ordered it. 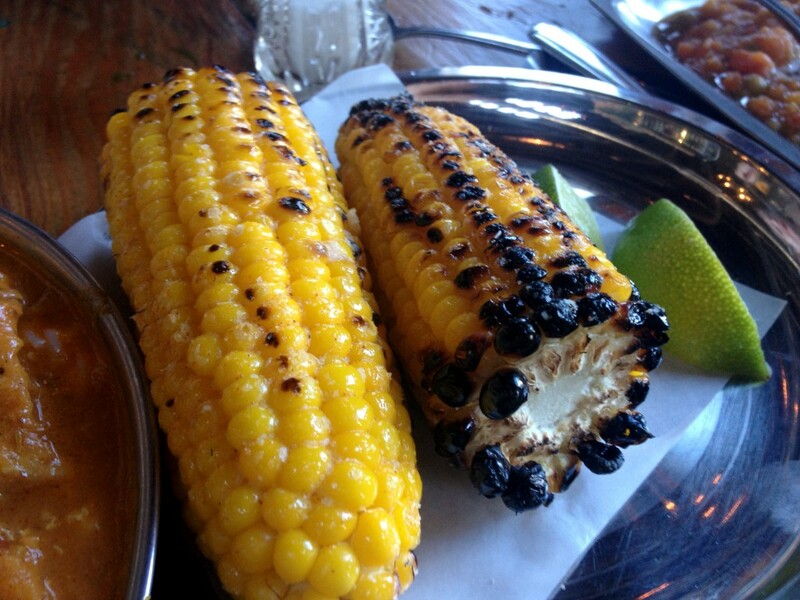 Oh yeah, we also ordered corn. Everyone was so stuffed it just ended up in our take home boxes, but it looked pretty. Bottom line, Bollywood Theater is just fun. I love places that make you feel like you’ve traveled to another country and this place pulls it off. The first time I saw it was last winter, while waiting in line at Salt & Straw (which is next door). 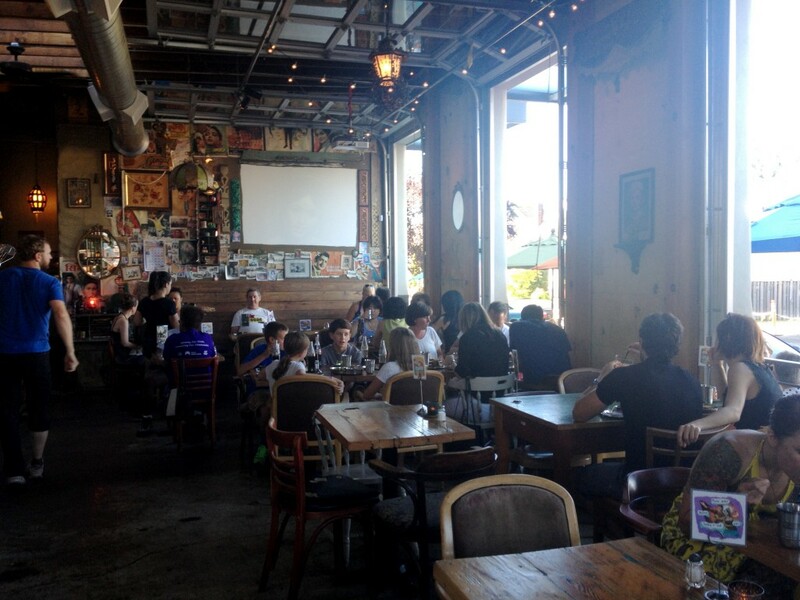 It looked so warm and cozy with Indian decorations and lanterns hanging from the ceiling. The do an excellent job pulling off the indian vibe, with everything served in metal plates and cups. It’s also affordable. I think a couple could easily eat for under $30, including tip. Just don’t go crazy like we did and over order.